Green Umbrella - Trails Count! 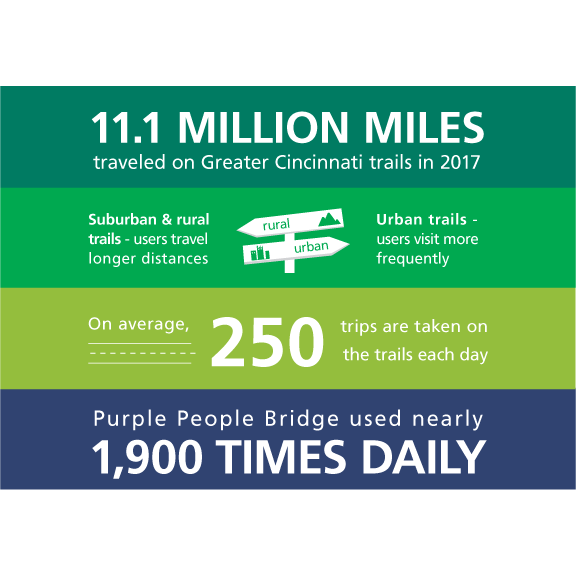 Trail managers and advocates in the tri-state have worked for decades to plan and build a network of multi-use trails that meets the needs of residents for recreation, transportation, and other purposes. 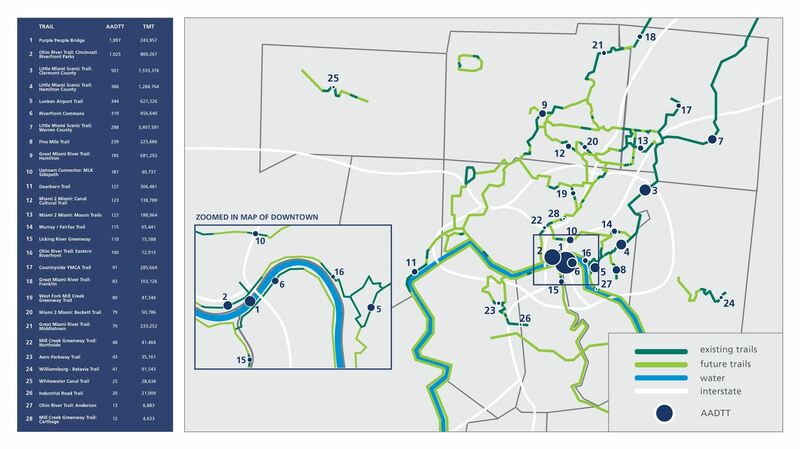 In 2016, Tri-State Trails partnered with Interact for Health to launch Greater Cincinnati’s first comprehensive Trail Monitoring Program. This program builds on and integrates data from established monitoring programs by the Friends of Little Miami State Park, Great Parks of Hamilton County, and OKI Regional Council of Governments. This report describes the trail monitoring initiative, summarizes results, and presents recommendations for ongoing monitoring. This study was made possible by the generous support of Interact for Health. Trail usage data collection is ongoing. 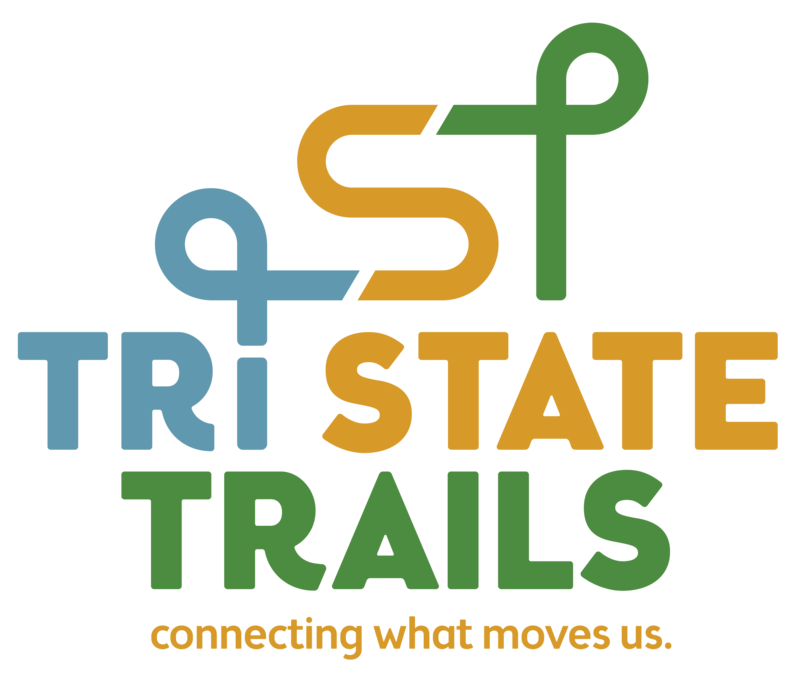 In 2019, Tri-State Trails is entering its third year of trail monitoring. Estimates for 2018 trail usage will be reported in mid-2019. 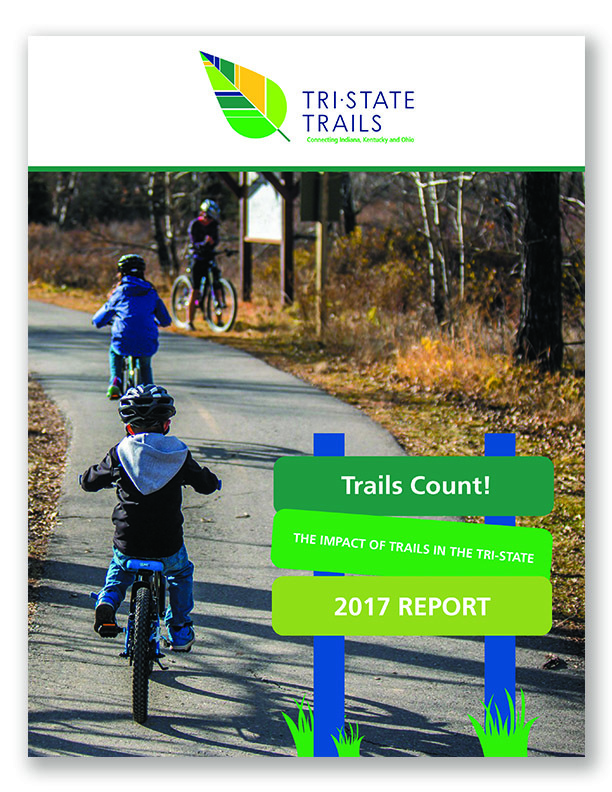 From January 1 to December 31, 2017, Tri-State Trails and partner organizations collected trail use data at 78 locations, covering 136 miles of trail. These data were used to estimate Average Annual Daily Trail Traffic (AADTT) and Trail Miles Traveled (TMT). 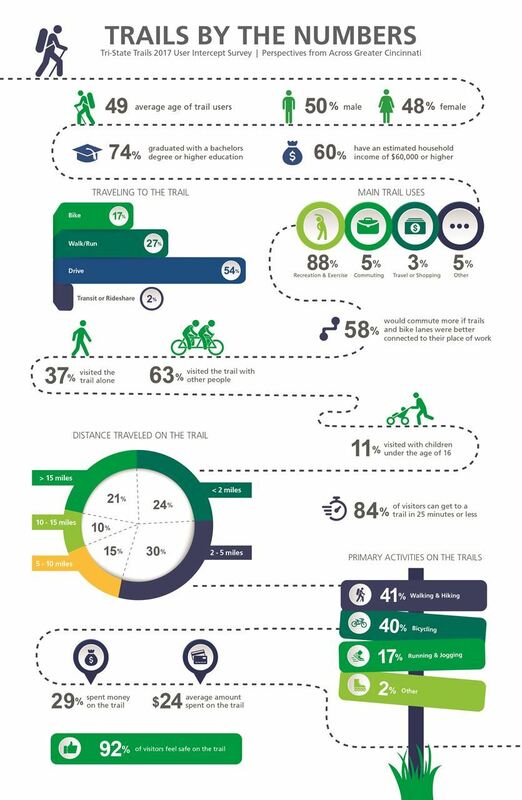 Additionally, between August and October 2017, Tri-State Trails collected 734 responses to a trail user intercept survey at 20 locations.